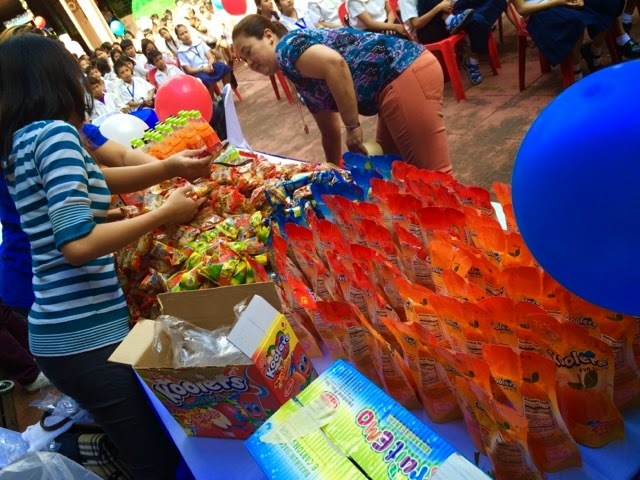 We went to the city of San Juan in the small Salapan Elementary School to celebrate the birthdays of kids Elijah Alejo, Joshen Bernardo and Joshua Uy. 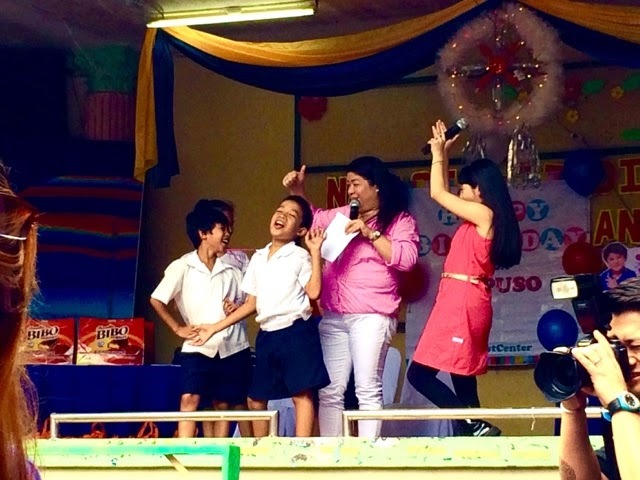 Oh you never could be so surprised with the amount of happiness you can get from the students of this school because once that the music started, they were dancing like crazy. 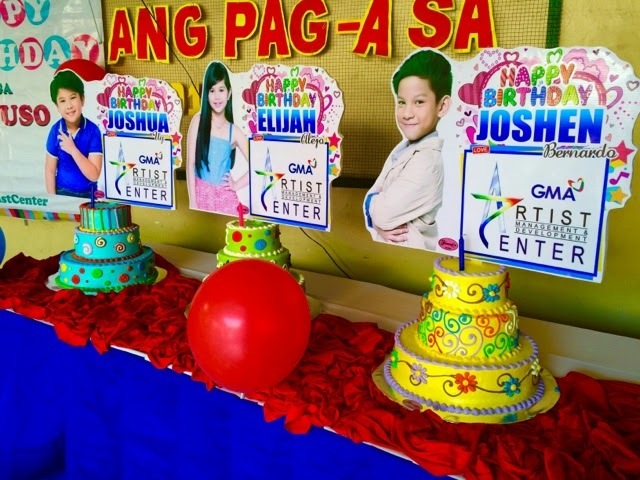 Elijah and Joshua had their own teams and they danced to win prizes, the good thing is, when it's their birthday, everybody wins! 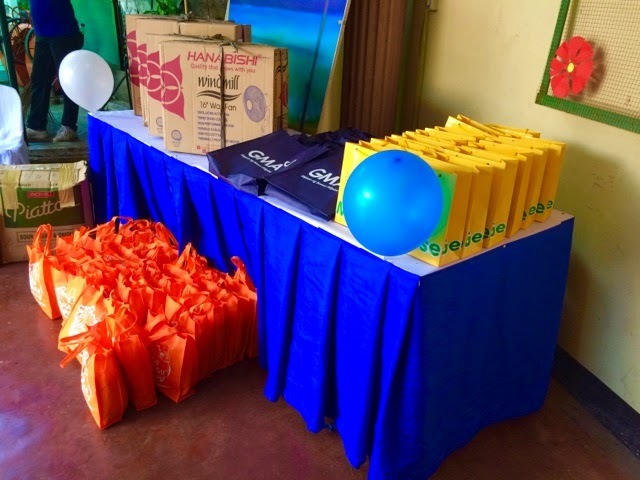 GMA Artist Center together with their sponsors Monreo Biscuits, Thai Tea, Mogu Mogu, Moose Gear, Zagu, Sundance, Kambal Pandesal, OK Quench Juice Drink and Yanyan International prepared food, drinks and giveaways for these kids so they can have snacks and take some of it home. 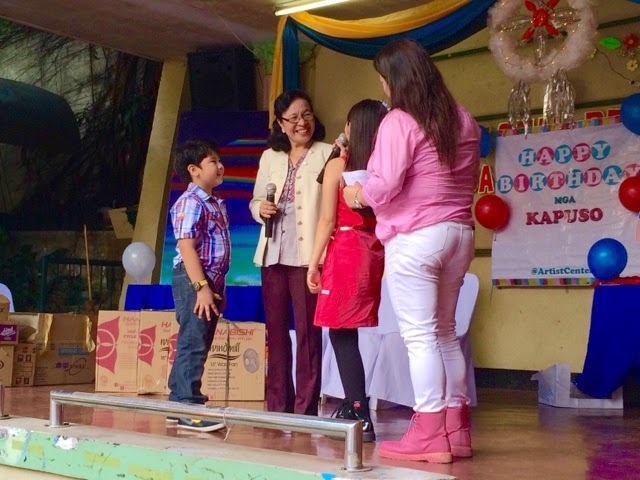 Later on, they called up the school principal Ms. Mercedita Rafael and presented their gift to the school. They got them brand new electric fans that the kids could use in their rooms to keep cool. Ms. Rafael said they'll be using this in the future when their fans conk out since they don't have too much budget in maintenance for the school. It's kinda sad to see some schools do struggle and the ones that suffer are kids. However, there is hope. Private institutions and individuals have been supporting public schools like these and it's a good thing it never stops in GMA's stable. Joshua Bernardo by the way will star in Second Chances which will start early next year. Elijah Alejo will be starring in soaps soon as her last one Sa Puso Ni Dok just ended, plus she's still a full time student trying to finish a regular school year. They hope you continue to support them in their future shows.